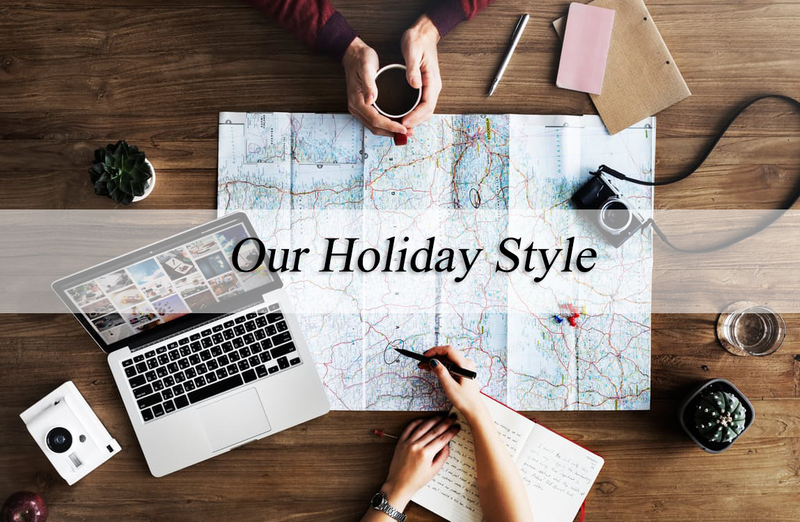 Holidays are a very personal thing for every family, I think what type of holiday you go on depends entirely on what you want to get out of your trip away. Some families prefer stay-cations, others like to take long haul flights to luxurious all inclusive resorts, for us this year it's a villa holiday were as my good friend are heading off on their annual cruise with their little ones. It's individual circumstances that dictate your options. I see some inspirational mamas heading off with their tribe exploring the middle east and as much in awe I am of their free spirits, I know that's not my cup of tea, though I do still ogle the photos in admiration and envy. So that leaves me thinking what exactly is our 'holiday style', we've tried a few, will we try others? This is our choice this year for our family, we did it the previous year and it just worked so well. I'm extremely fortunate that the villa we're heading to is actually my parents so we have a lot of worries removed. I can send things over ahead of time if I need to when they go over to visit, we can buy baby equipment (my parents have kindly done this) to leave at the villa so it's all ready for us to use. We need not worry about food or sterilising etc as they obviously have a functioning kitchen just like home. It's basically a home away from home, with a pool and lots of sun, completely perfect for us and I think until the boys get bigger when we can't pacify them with some local attractions and we don't need convenience as much, it shall be our chosen method for some time. I love a good all inclusive, I really do. Growing up we always had one or two all inclusive breaks a year as a family and it was lovely, everything is there as you need it and unless you want to explore some of the local culture or landmarks, you really don't need to go very far. We did venture to an All Inclusive resort when Noah was just eight months, it was lovely and we had no issues but I won't lie it was a lot more hassle than a Villa holiday. Sterilising wasn't as straight forward and because we were in Tunisia, we couldn't find nappies or any form of formula over there so were extremely lucky we packed well enough. I think depending on your destination you could completely remove the stress we had, and I think this is what we'll revert back to doing when the boys get a bit older and want a lot more to do in their day whilst we are away, as so many resorts now have kids clubs, water parks and entertainment teams. My close friend is the absolute queen of last minute cruise deals and I've been incredibly envious in the past. A Cruise has never been something I had thought of, I think as it was something we never did as children, it never entered my mind to do it with mine but after seeing the Michalaks on Youtube recently head off on a Cruise with their son it really did make me have a nosey into the world of cruises. Last minute cruises from UK can be so much cheaper than a lot of other package holiday deals, I really didn't know how much was included and how much there is to do on board some of these ships. I few minutes browsing Cruise Club turned into hours, and I found fleets with rock climbing walls, huge pools, ice rinks, theatres, I just couldn't believe you could get all of that in one place. If you've got a family that really like to be active and explore, Cruises are most definitely for you. We recently visited the beautiful Bluestone Wales. We had so much fun and there was lots to do, I can see why people choose Bluestone and other similar holiday parks for their family holidays year after year. However for me, I think costs in such places although initially can seem cheaper and you probably could minimise them really well; they end up costing just as much as holidays abroad. When you factor petrol, food, meals out, activities etc, then you truly wont see a huge difference in price. For a large family I can see why staying in the UK is much more appealing though, the thought of lugging two children on a plane in May is enough, I couldn't imagine the stress of more never mind the cost. wonderful post. I see some rousing mothers taking off with their tribe investigating the center east and as much in wonder I am of their free spirits, I realize that is not some tea, however I do in any case gaze at the photographs in appreciation and envy. So that abandons me supposing what precisely is our 'vacation style.formula over yonder so were to a great degree fortunate we stuffed all around ok. I think contingent upon your goal you could totally evacuate the anxiety we had, and I think this is the thing that we'll return to doing when the young men get somewhat more established and need significantly more to do in their day while we are away, as such a variety of resorts now have children clubs, water parks and stimulation groups. VALENTINES DAY - STAYING HOME OR GOING OUT?